I tried curd rice recipe for the first time at one the famous South Indian restaurant in my city. I ordered dish and canceled it at very first moment then manager of that restaurant told about the authenticity of that dish and I was convinced by him to taste it. And there was regression on that night about curd rice that why I didn’t try it before! If you haven’t try yet, please, please make it as soon as possible, because this is the best rice recipe I have ever had!!! During the summer, sometimes we wanted to eat something light and cold at dinner table. 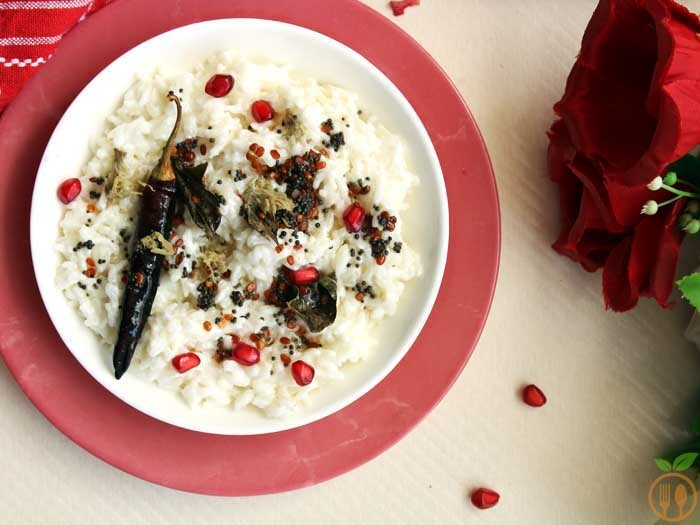 Curd rice is best suitable dish for that type of craving. Curd rice recipe for babies can be only curd and rice you can have it for toddler or for infant also. Sometimes, you can add steamed vegetables like carrot or green peas also. For kids, this is the most comforting food to have at any time of the day. My little girl only eat rice with curd, I made this at least twice a week. At summer vacation, kids are always interested in playing more… For parents, sometime it’s difficult to feed them as kids are not ready to eat over playing with friends. If you keep curd rice into fridge, and when your kid is asking for something to eat, you can easily feed them and kid will love to eat cold tasty curd rice while playing. Everyone has story with this recipe. 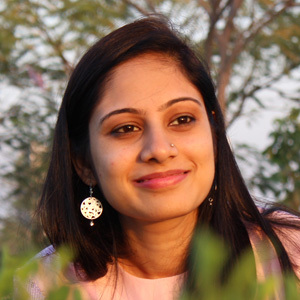 I am great full if you will share your story with curd rice. 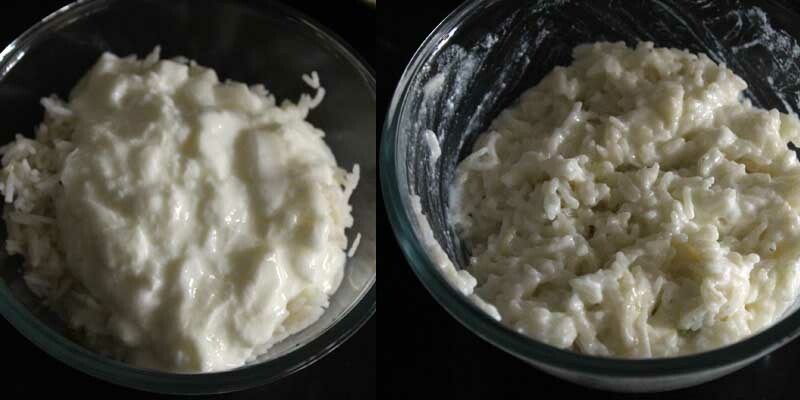 Cook the rice and cool down completely before mixing it with curd. Then mix the curd and rice well. 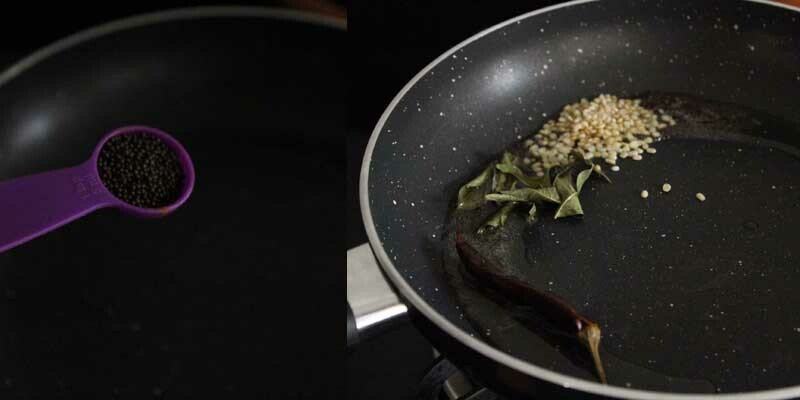 For tempering, take oil and mustard seeds and all other ingredients..
At last add pinch of asafoetida. Add tempering into curd rice mixture. and some pomegranate seeds if you like it. I suggest to use fresh cooked rice, and use overcooked rice or mash rice before add ing curd to it. If you pressure cook your rice then add more water. For boiling process, cook little more so rice will become mushy. Please cool down the rice completely before adding curd to it. I cook my rice at least 1 hour before I am goona serve curd rice. Curd rice is very popular South Indian dish which can be served as either complete meal or as side dish with any south Indian meal. Rinse rice for couple of time in water. Now transfer rice into pressure cooker and add 1.5 cups of water. 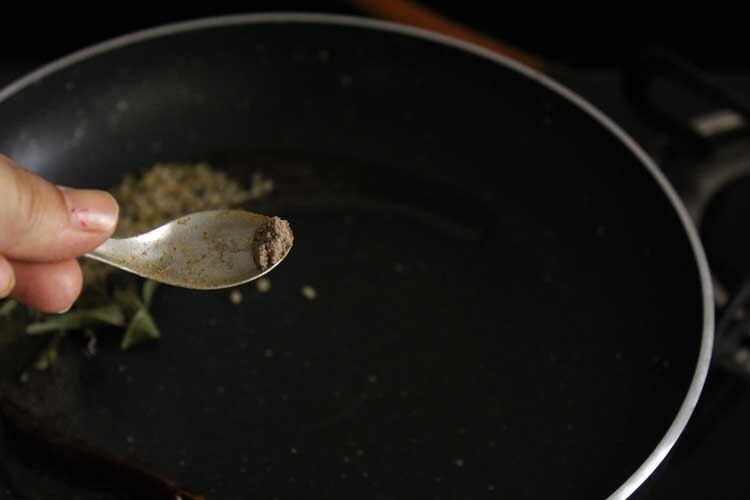 Cook the rice for 4-5 whistles, let it cool completely. You can boil the rice for 10 to 15 minutes until it is cooked. It's ok if you little overcook the rice. 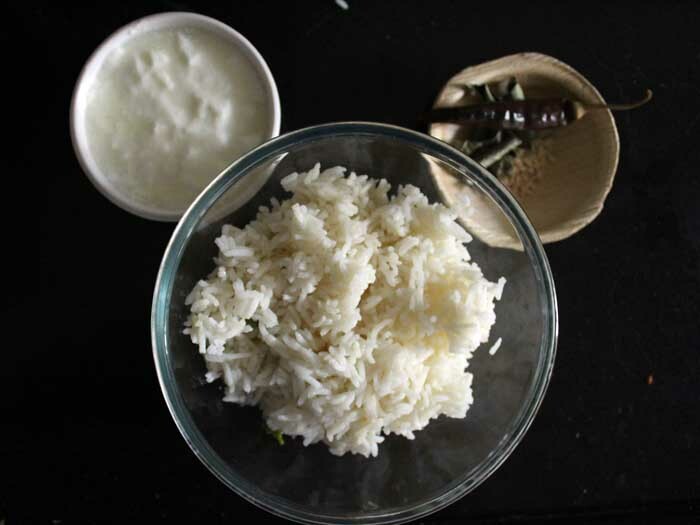 To make curd rice, take a mixing bowl and add rice and curd together. Mix them well. You can add the salt here. For tempering, heat the pan into medium flame and oil into it. Once oil is hot add mustard seeds and all other tempering ingredients listed above. 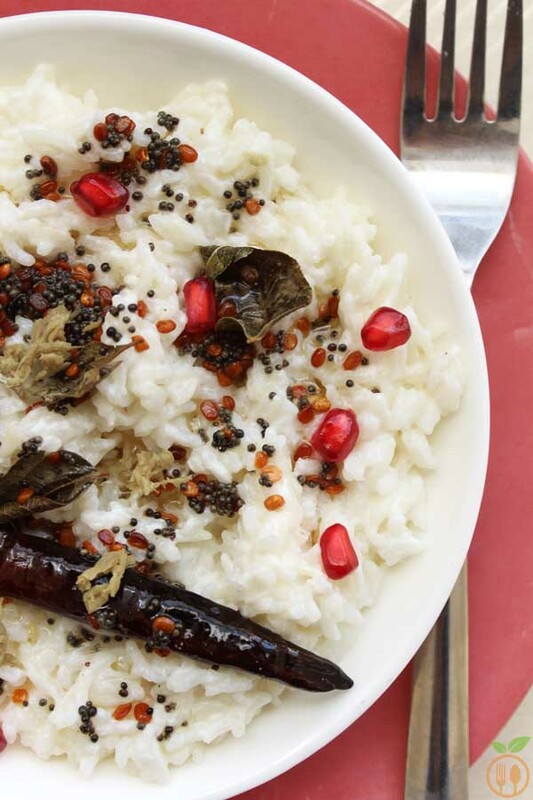 You can chill the rice and at time of serving add pomegranate seeds as much as you like. 1) You can serve it as dinner, lunch or for kids' lunchbox also. 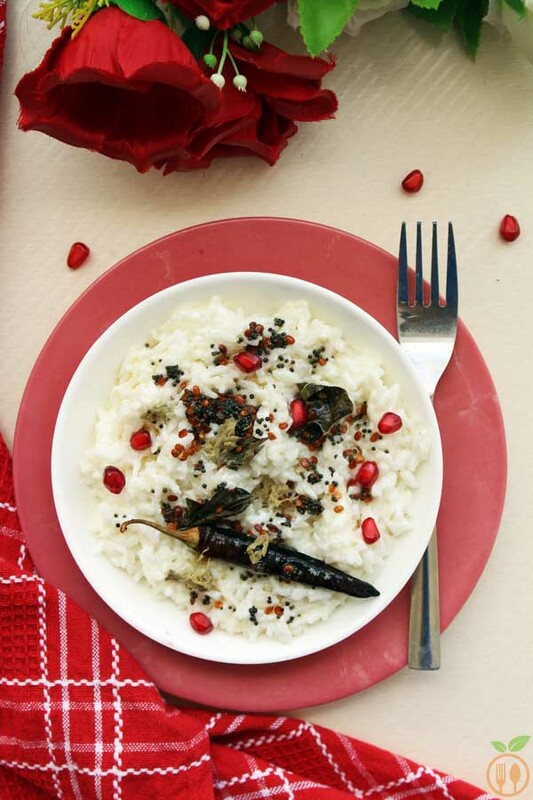 2) For summer dinner, it is the best option to have cold curd rice. 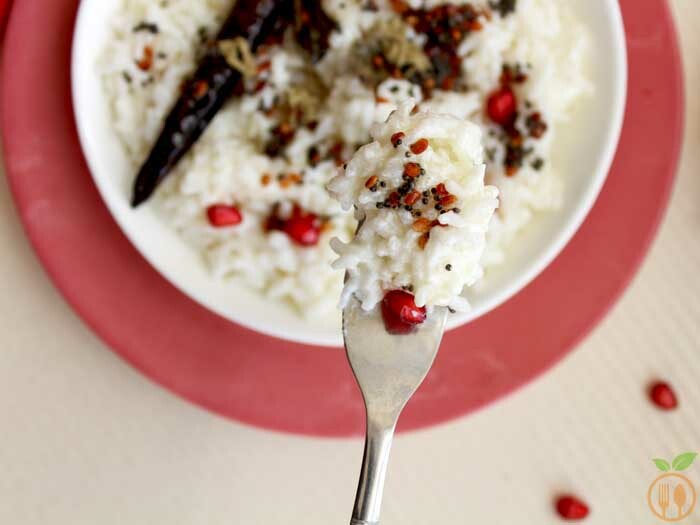 3) This curd rice recipe is for toddler and for infants also.